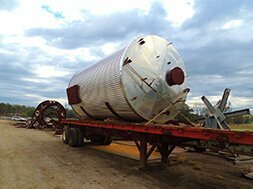 Processing & Fabrication is Our Specialty! across the nation and around the globe. 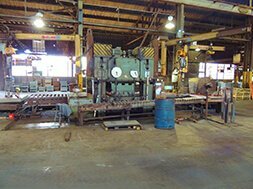 Metal masters of steel processing since 1989. Four generations of steel processing experience. your all in one source for processing and fabrication. 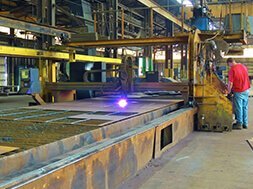 Our high definition CNC plasma burning machines utilize state of art design and nesting software. More speed and higher quality produces superior efficiency and production, which in turn, will lead to faster processing . Our CNC laser burning technology offers the highest quality finish to the cut surface compared with plasma or oxy-fuel cutting. Our machine’s position tolerance is .002 with a cutting tolerance within .007. We cut up to ¾” thick. Browning Enterprise specializes in precision flat burnouts by utilizing high definition plasma and laser technology controlled by state of the art software. In combination with our precision flattening equipment we can provide our customers with a superior product. 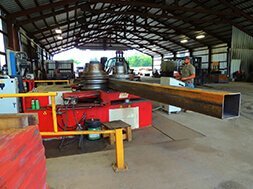 Friction Pilings can offer a cost effective alternative to traditional pilings or caissons due to the reduced depth required for desired load capacity. 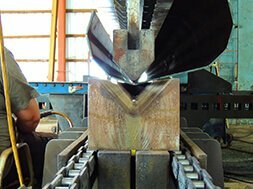 The advantage of friction pilings is that the soil condition will be able to carry a substantial higher load when the pile is tapered. The electric distribution and utility industry is moving towards using tapered steel poles. At Browning Enterprise we have over a decade of experience, and the capabilities to produce these poles and accompanying hardware. Customer satisfaction is a priority. We welcome any new tasks or ideas, and there are few jobs we can’t handle. Offers enhanced productivity, improved safety, and ease of operation to burning machine systems. 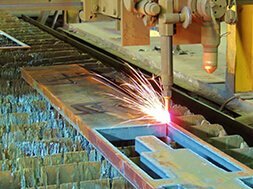 Our CNC laser burning technology offers the highest quality finish to the cut surface compared with plasma or oxy-fuel cutting. 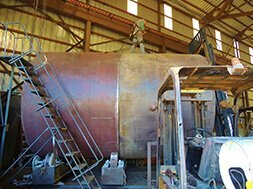 Browning Enterprise’s wide range of equipment and capabilities has allowed us to specialize in commercial building component fabrication. 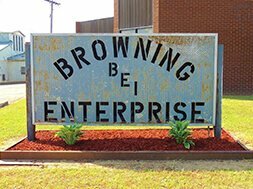 Browning Enterprise, Inc. has always been and will be a closely held family business. 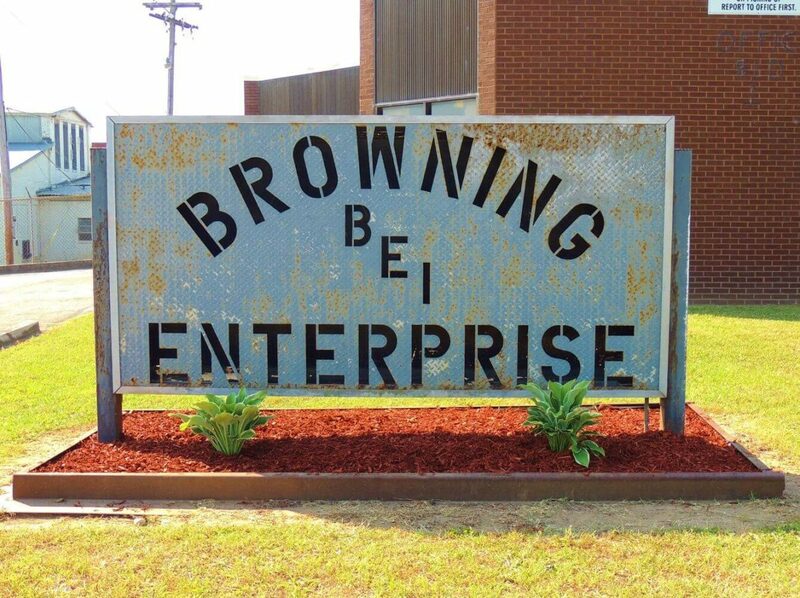 We are Browning Enterprise, Inc.
Browning Enterprise, Inc. is an elite organization in the steel processing industry. Over the years, some of our accomplishments include making components for the Pentagon. 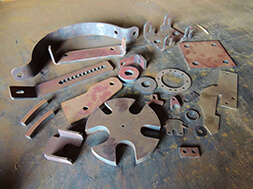 Browning Enterprise, Inc. has cut, ground, flattened, formed, and fabricated components for jobs in all major industries. We continuously strive to keep our regular customers happy. In addition, we graciously welcome any new task or idea, from both existing and new customers. With our extensive knowledge and expertise, there are few jobs we can’t handle. Where there is a will, we will find a way!